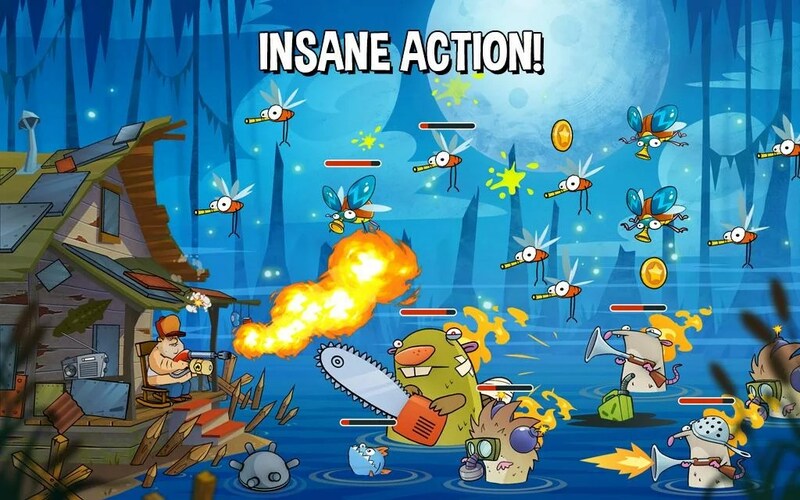 Swamp Attack – Games for Android 2018 – Free download. 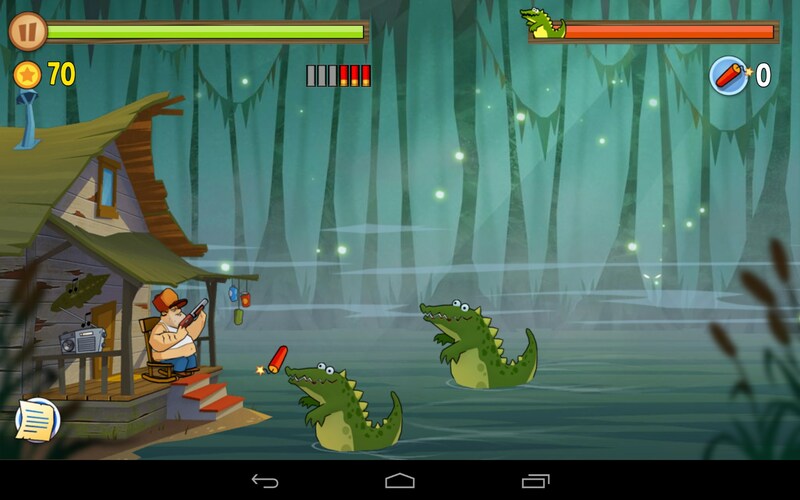 Swamp Attack – Shoot gaters from yer porch. 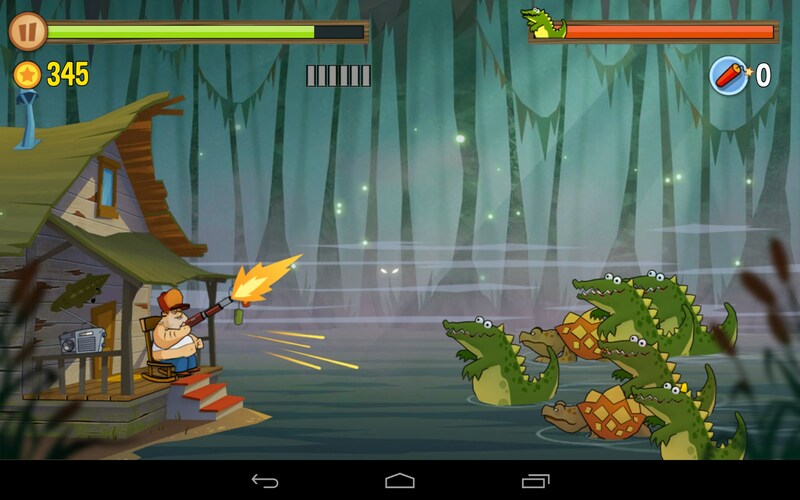 Swamp Attack for Android is a simple shooter game in the swamps of Florida. Or at least it looks like Florida to me. Blast gators, weird turtles and other strange swapmy looking critters before they reach yer front porch. 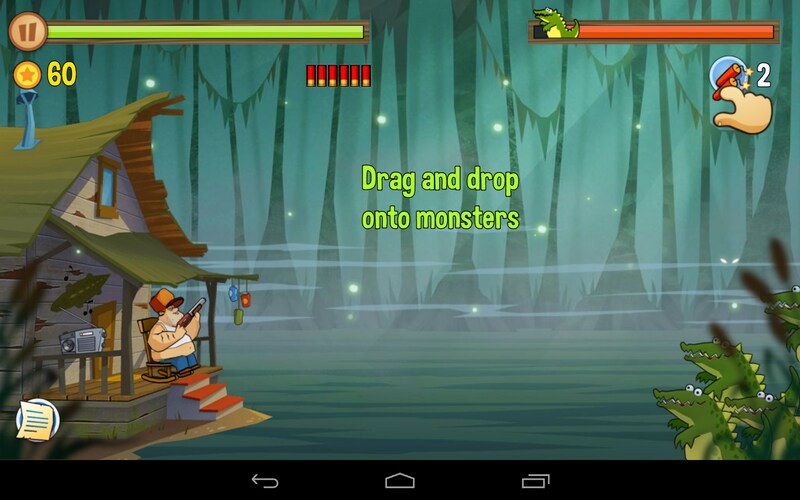 Swamp Attack places a good ol' boy with a shotgun on the porch of his swamp-front property. 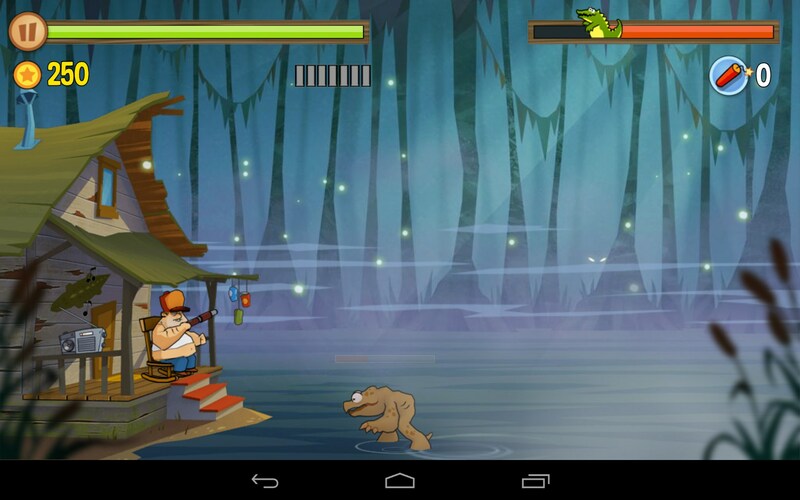 As he sits there, chewin' an' spittin' tobakkee, he spots some gaters approaching from the swamp. Looks like they mean some harm, so our portly hero decides to do some target practice. Blast all the approaching vermin before they get to the porch and eat you for a snack. 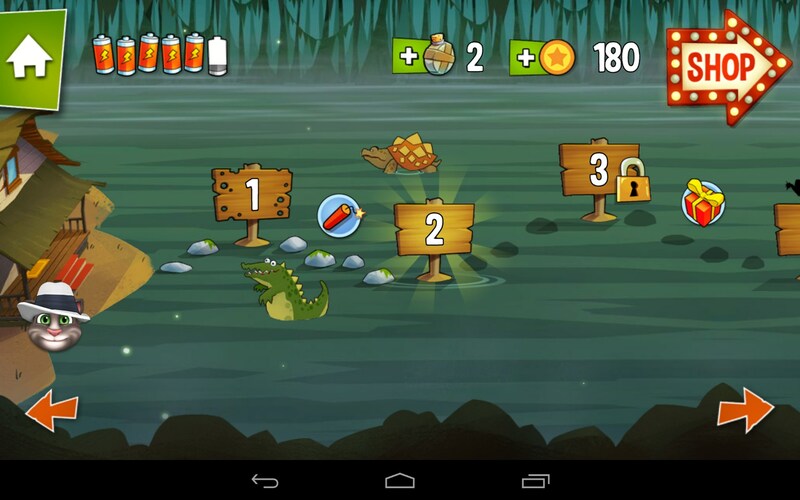 Drop TNT for that extra blast, but watch out for turtles cuz they're mean little suckers. The game plays well with decent controls, you run out of bullets often. But guess what? 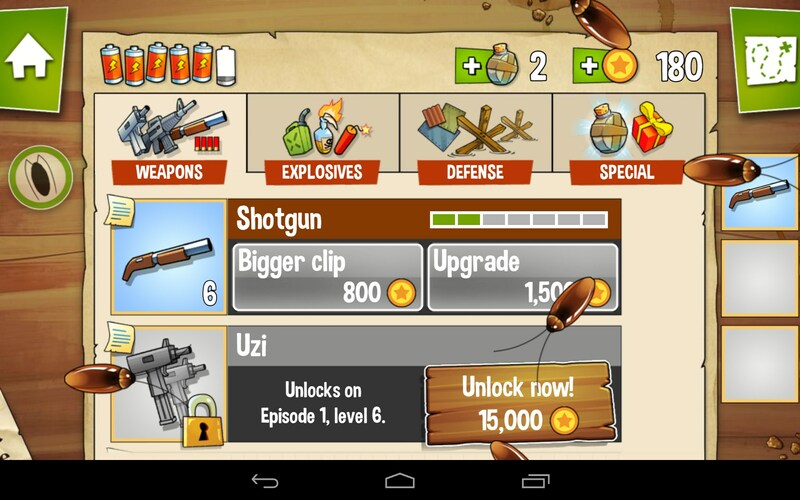 You can buy more along with an array of weaponry in the game's store. The action is decent, but the play definitely starts out really sluggish. 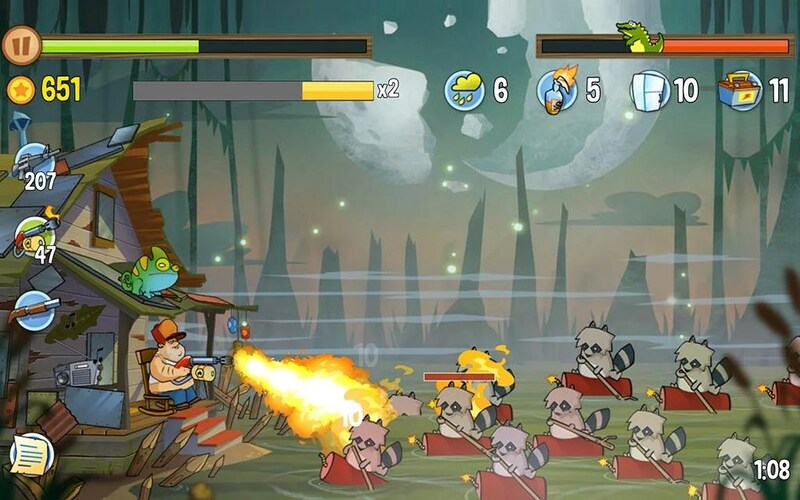 Before too long, you'll start to realize you need to upgrade, but once you do, the enemies get tougher to kill, so you're really not gaining any ground in the performance department. 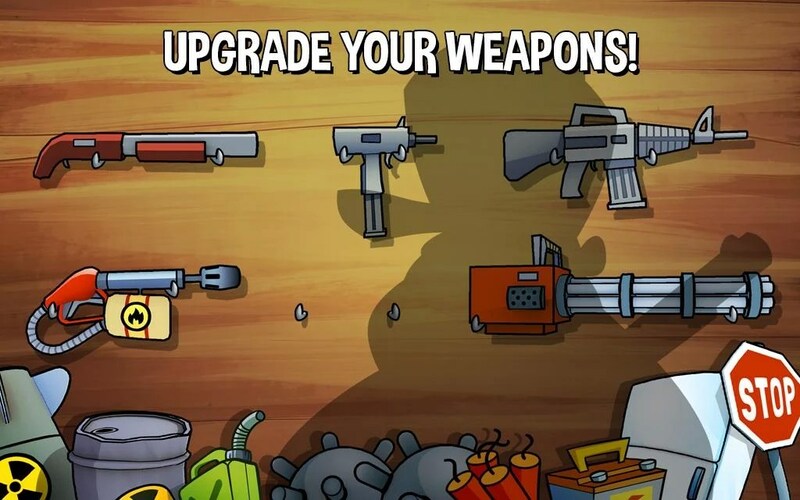 The ol' dangling carrot just gets moved a little farther out of reach as the game goes on, assuring that no matter how many upgrades you buy, the app will always under perform just enough to keep you feeling like you need to buy another upgrade. The animation is decent but a little sluggish, and the sounds were entertaining. However, the game seems to be a battery killer. Swamp Attack is decent fun but gets boring fast. I found the design to be highly manipulative, sacrificing performance for the ever elusive upgrade that will make the game perform as it should; but it never quite gets there by design. Ultimately, the play is one dimensional and flat. Can you jump to the beat?